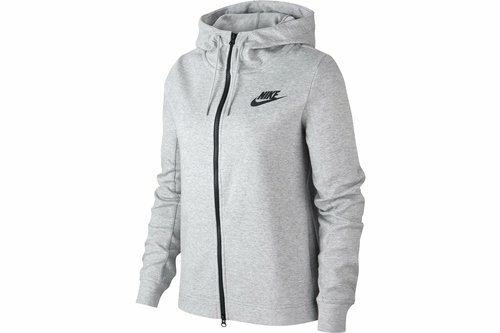 Bring the sporty look to the streets in this Nike Optic Zip Ladies Hoody in Grey. The Nike Optic Zip Hoody is a ladies jacket, designed with a full zip fastening, hood with drawstrings and front open pockets. The hoody features Nike tape to both sleeves and Nike Swoosh logo to the front for a recognisable finish.